Third International Conference of the Study Group Anticipation Across Disciplines, Hanse Institute for Advanced Study/Hanse Wissenschaftskolleg, Delmenhorst, Germany. September 29, 2015. May 5, 2006, Keynote Lecture: What do Art and Entrepreneurship Have in Common? 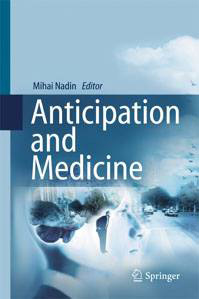 Anticipation Across Disciplines (M. Nadin, Editor). Springer Cognitive Systems Monographs 29.